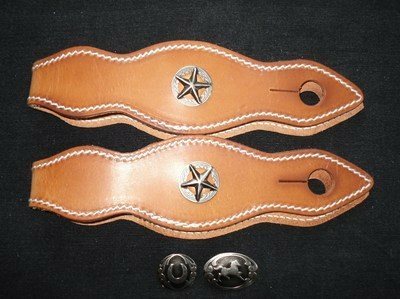 Exactly the same as the normal slobber straps but with a choice of metal conchos. Choose from stars, horseshoes or running horse. Please note that if choosing the running horse the nearside slobber strap will have the horse facing towards the rider and the offside one facing away.